SKU: 1901. Categories: Audio CD, Cleopatra, Country. An extraordinary new voice in country music, 18-year-old Mary Sarah unites modern and traditional country styles with her stunning new album, Bridges! 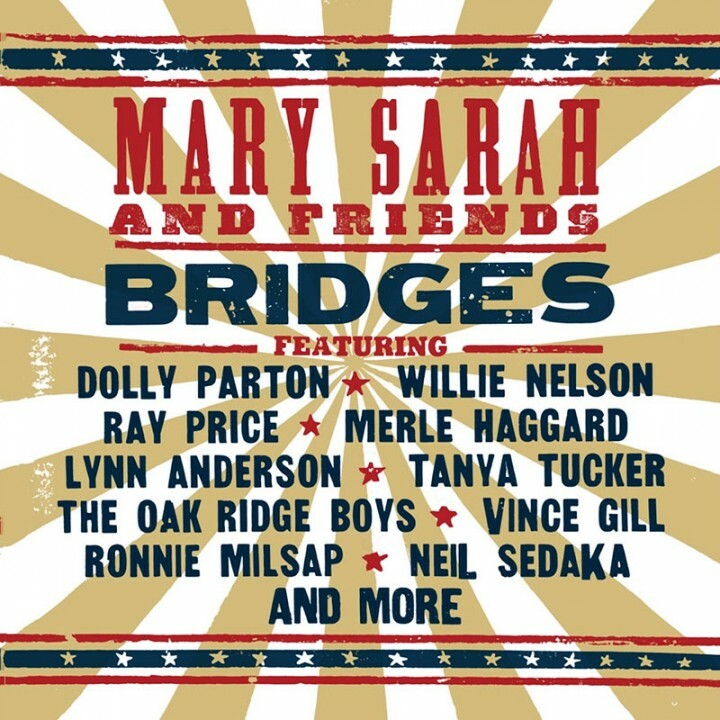 Features an awe-inspiring list of country music’s brightest stars performing duets with Sarah, including Dolly Parton singing her superb hit “Jolene,” Willie Nelson crooning the all-time classic “Crazy,” the late Ray Price counting “Heartaches By The Number,” Merle Haggard trading vocals on “The Fightin’ Side Of Me” and a whole lot more! This exceptional young lady has already made her debut at the Grand Ole Opry in April of this year, will be featured in Billboard magazine’s “Artists on the Verge” column as well as Country Weekly’s “Who’s New,” and is set to join The Oak Ridge Boys for a series of live shows!